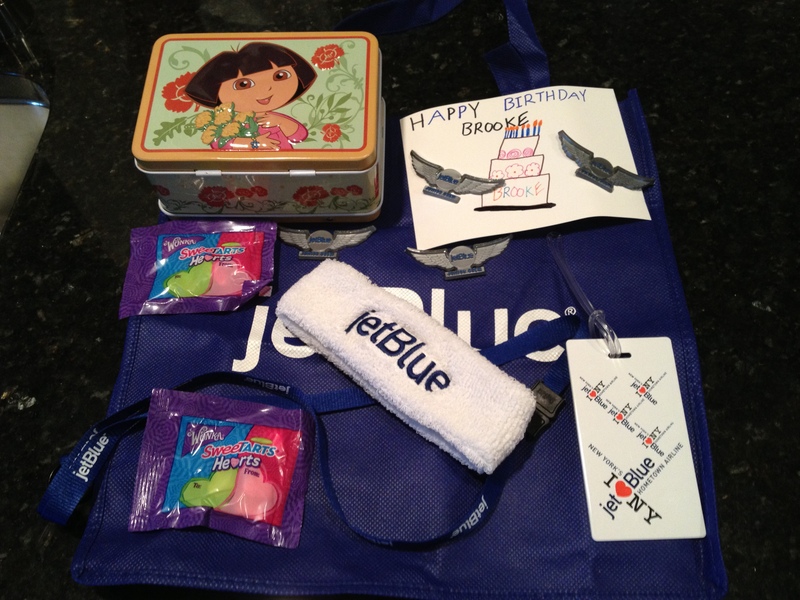 The Run Luau Run/diary of a mom family has been a big fan of JetBlue Airways for a long time. They just make traveling easy. Early on, as brand new parents, we appreciated the simple additions of television screens, but as our family grew and we were confronted with the challenges we face, we came to love the airline even more. Jess has written a few blog post about them here way back in April 2010 and here from April of last year and here and here from January of this year. They way they have listened to the Special Needs community and made changes in the way they do things is exactly what anyone hopes a company would do. Awareness is working – is it the answer to all our issues as a community? Not even close, BUT it is a starting point – a place where education can happen, where understanding can happen, where compassion can happen. None of those thing happen without Awareness. But it was a phone call and then email I received last Friday from JetBlue that simply blew me away. 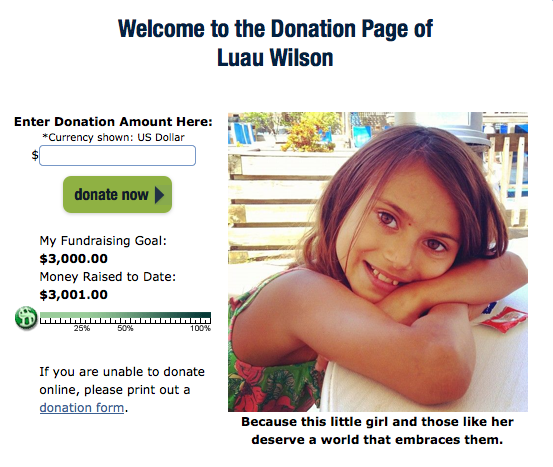 If you follow me on Facebook or Twitter you may have already seen this, but I think that it definitely warrants its own blogpost here on Run Luau Run. Friday afternoon I received a phone call from a gentleman from the JetBlue social media department. To be honest, I was in the middle of some stressful stuff and I wasn’t really paying attention at first. I thought he was either trying to sell me something or have me take a survey that I had no time for. Once he clarified who he was, he simply said that he wanted to send an email to Jess and me and wanted us to keep an eye out for it. He didn’t say what it was, but he had a feeling we’d get a kick out of it. When I show it to Jess, she cried. My point is this – raising awareness is working, it is making a difference. 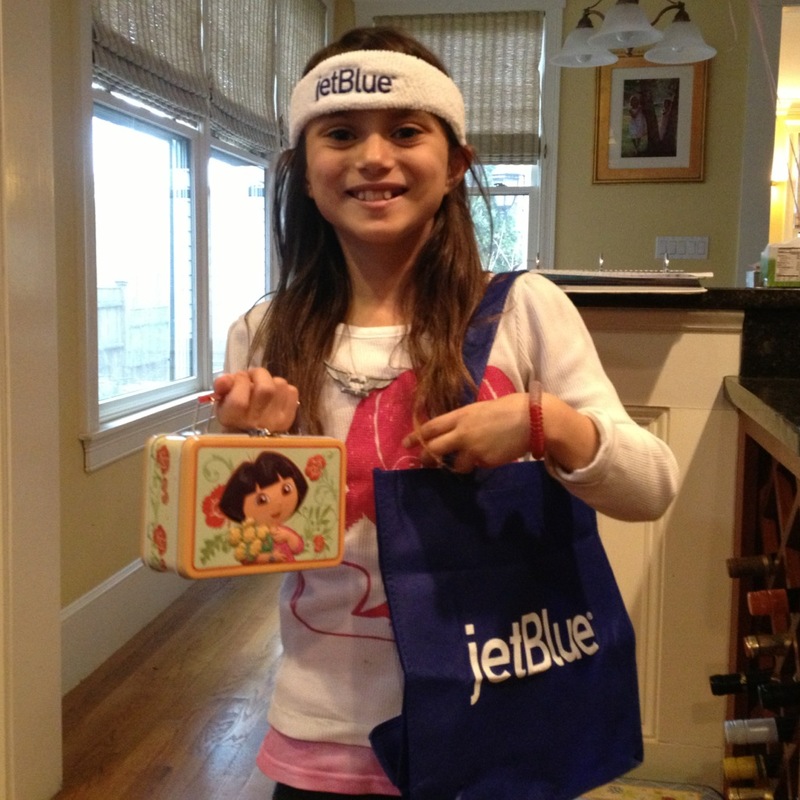 Whether it is companies like JetBlue changing the way they do boarding or interact with their passengers or Mophie donating battery packs to help some idiot run 100 miles while using the Charity Miles App or even Katy Perry happily donating 25 blue wigs to a bunch of marathoners, awareness is helping change attitudes toward autistic people. Today I will wear my Autism pin and just like any other day of the year, talk to whomever is willing to listen about autism – I will gladly talk about insurance coverage, accessibility, adult services, employment, education; I will do whatever it takes to convince people that we need to help make the world better, more accessible, not just for my Brooke, but for autistic people everywhere. All those things start with one word – Awareness. I thought we had a legitimate shot. I really did. A comment from a friend of Katy’s – one degree of separation – that was all it was ever really gonna take; someone her knew her. I am so appreciative of all the tweets to Katy that you all have posted over the last month and a half; I am grateful to all those who signed my petition to her. In the end, it just didn’t work out. Last night, around 3AM, I received an email from Katy’s friend saying he just hadn’t heard back. He suggested going ahead as planned, taking pictures, writing a post – maybe Katy would comment or re-tweet it. 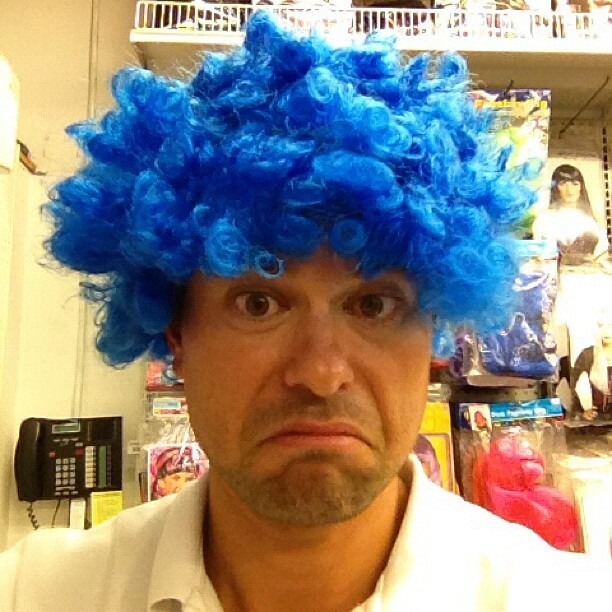 I can’t afford to buy a wig for every runner who volunteered to run NYC in the blue wig and I certainly can’t ask them to buy their own. I get it. I do. With a schedule like hers, she might not have even seen the emails yet. It’s too bad, really. The visual impact of 25 – 50 runners, all wearing blue wigs in support of Autism Speaks would have been fantastic. It just didn’t work out. I know it was a silly thing. 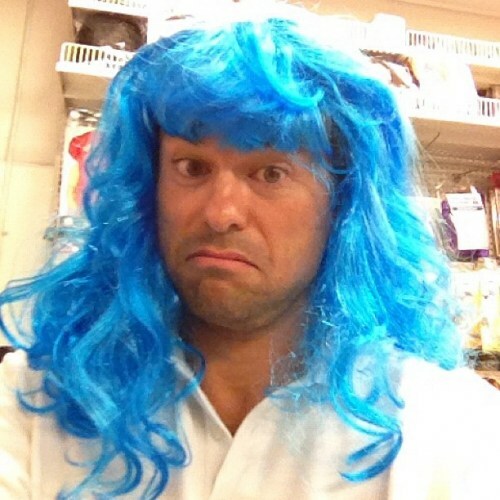 In light of the devastation left behind by Sandy, I know this is ridiculous to even be writing about, but I feel it’s only fair to let those who volunteered their time, tweets and money know that I will still be running in a Katy Perry Blue Wig – it will be the cheap model from iParty; it won’t be hers. It was a long shot at best anyway…I just really thought this one was gonna work out. Thank you again for all you support. See you in New York! I finally pulled the trigger last week – I officially signed up to run the New York City Marathon for the third year in a row. And for the third year in a row, I will be running as a charity runner – raising funds for the organization that is particularly close to my heart – Autism Speaks. I had held off signing up for so long this year because I was busy recruiting many of you to run Boston 13.1 on September 16th (also for Autism Speaks – If you haven’t signed up to run, there are still spaces available. Sign up —HERE—). I could go on and on about why I am running and why I need your help, but it really comes down to this: Autistic people like Brooke face a wide range of challenges both as children and as adults. Autism Speaks tries to take these challenges on from several different angles – funds raised go to scientific research, social services, development of employment opportunities, and raising awareness. They work tirelessly to make the world a better place for my Brooke and all autistics who are both like and not like her – that’s how wide the spectrum is. So I come to you, hat in hand, asking for your help. I have agreed to raise $3000 by November 4th (that’s on top of the $500+ I’ve already raised for Boston 13.1). Whether it’s $5, $10, $20, $50, $100 or even the whole darned $3000, I’m asking for your help. It should make me easy to spot along the way. 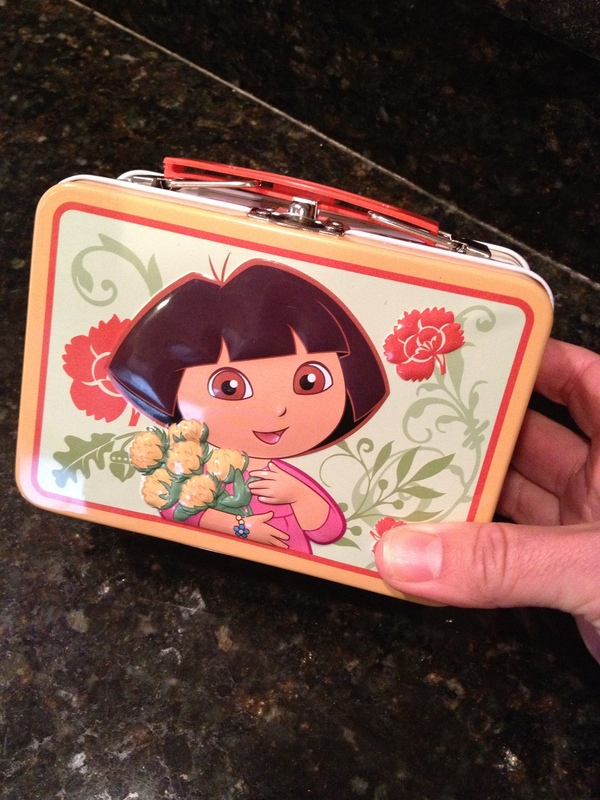 Come on…you know you want me to do it! And the truth is, I do owe Katy Perry something for nudging me in the direction I find myself (free training session for you Katy should you ever find yourself in the Boston area). If it does come to this one though, I may reserve the right to put it up in a ponytail if it gets too hot. Speaking of Ms. Perry, you may know I am currently working toward a CSCS certification that will allow me to officially work as a personal/team trainer. My plan is to be certified by the end of March 2013. How is this significant? For every $25 donated, I will put the donator’s name into a hat (so $100 would be 4 entries). 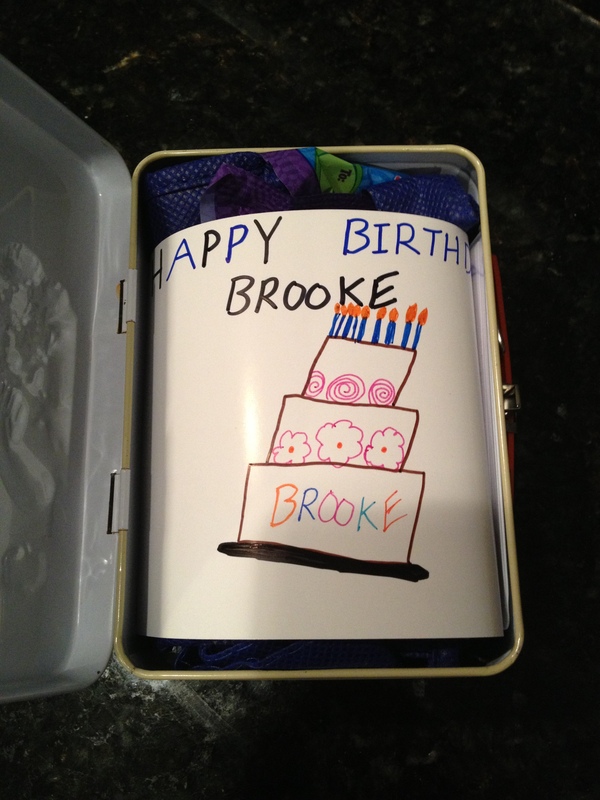 On November 1st, I will have Brooke draw out a name. The winner will receive (after I am certified) 3 training sessions that will include on top of that a full nutritional and physical intake evaluation and a long term program to get you where you want to be. Hopefully, after three sessions, you will still want to work with me! If you live outside of New England, I could use some credit card miles to fly to you for a weekend or we could do something via Skype – we can work out those details later. Okay, so here’s the link to my donation page – http://events.autismspeaks.org/nycmarathon/runluaurun – donate early and often, and remember, every $25 buys you one raffle ticket ($200= 8 tickets!). 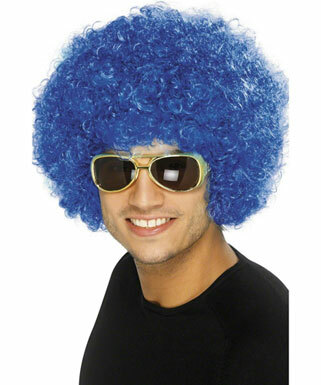 You know you want to see me running through the streets of New York with a Katy Perry wig!